Gather your materials. 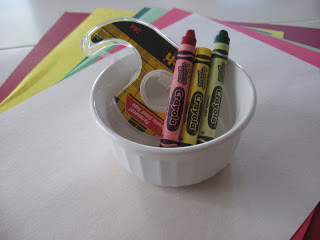 You will need 2 full pieces of paper ideally one neutral color and one black, some red, green and yellow paper to rip into pieces, some double stick tape or glue, red, yellow and green crayons or markers and something to trace the circles with. Trace 3 circles on the neutral piece of paper, the top should be red, middle yellow and bottom green. 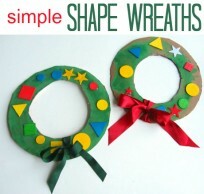 Hand your child the colored paper to rip into small pieces. 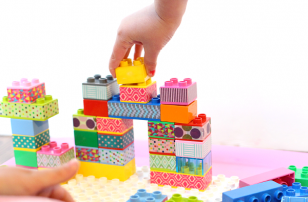 This isn’t just fun for them, it’s great practice for their fine motor skills! 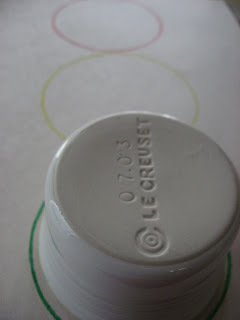 Start gluing or taping your small pieces in the correct circles. 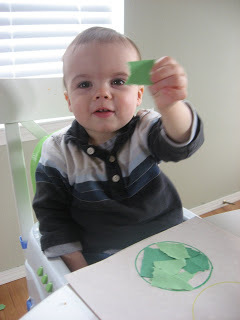 Younger children may need you to place a few correct color pieces first, but even young toddlers will surprise you with placing the correct color in the correct circle. My son blew me away while we were doing this consistently placing the right color down! 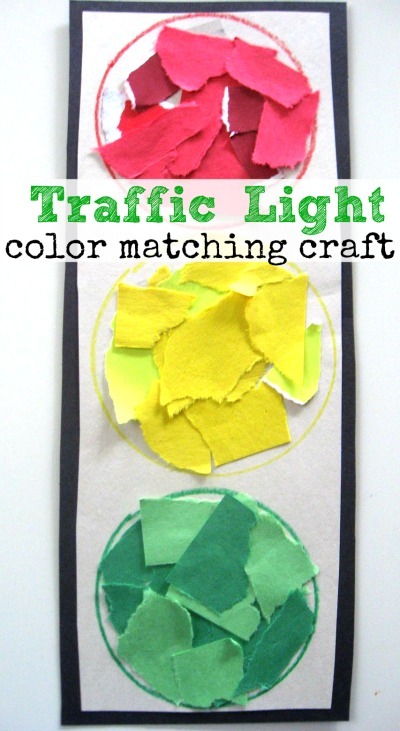 Cut the extra paper off the sides of the traffic light, and glue on to a black piece of paper, trim and voila you have your very own traffic light! You may be familiar with Red Light Green Light as a running game outside, but this version can be played inside . Introduce the concept of red being stop, yellow being slow and green meaning go by acting it out. You don’t need to run, you can do any movement at all. I have done this as a circle time activity with clapping, hand waving and knee slapping! 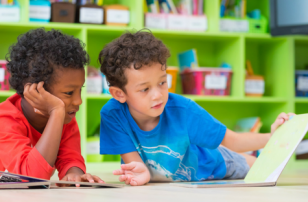 Have preschoolers suggest movements too! ” Firefighters to the Rescue!” by Kersten Hamilton is a beautifully illustrated look at the heroic happenings of a group of firefighters. 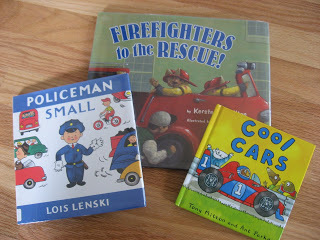 The text is good but my one concern is the lack of any female firefighters, that aside the book is worth a look.” Policeman Small” by Lois Lenski was first published in 1962 and is retro in all the awesome ways. Cute and cheery it’s like a little Rockwell painting in a book! Also toddlers gravitate towards this book, my son loves them! ” Cool Cars” by Tony Mitton and Ant Parker is a bright little book that talks about all different types of cars and even a little bit about the rules of the road in a zippy rhyming text! I just did this with my daughter (4) and son (almost 2) and it was a great activity! She got to practice cutting along with the other obvious skills. 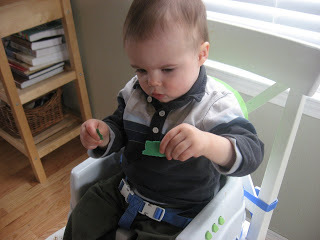 Once we finished it, I made cards with red/green/yellow written on them and go/slow/stop written on them. She loved reading the cards (she’s just learning and those are easy words!) and having to match them to her traffic light. My son also loved the gluing and matching the colors. Thanks for posting this! I will probably post some photos on my blog of my kids doing this. hi, i have always wonder how to stick the papers. 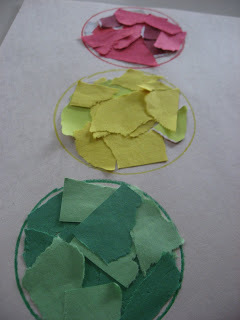 do u use glue to stick the coloured papers in the circle? or double side tape? maybe an older toddler can manage to use glue. 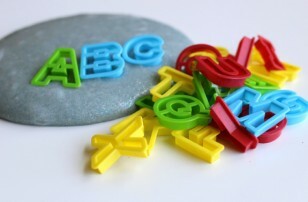 say if toddler age 3, perhaps could let them use a glue and stick. (will it be sticky everywhere?is that fine? what about your son in this photo. at that time, how old is he? did he just arrange and u help to stick? or did he stick? sorry, these questions may sound silly but i really dont know how to introduce sticking/gluing activity. ds (3.y.o) is not very fond of stickers and i have only tried to introduce glue once when he was 2+ yrs old but he wasnt very interested as well. Hi Allie, I’m from Malaysia.. I found your page while I was looking for activities for my son.. Your idea was very brilliant… I really love all your child activities… Thank you… But I just wonder, how old your son during this activity? He was very clever in matching the colors… Hope you reply mine… Thx Allie! My son was 20 months old here so almost 2. I hope that helps but remember all kids show different strengths at different ages. If yours is younger and eager go for it, if they are older and not interested that’s ok too. This summer, we’re doing a story time in the park. We have a “car day” and I couldn’t think of a good craft. At home, we do painting with cars, but that seemed a little messy for a group full of kids. This is perfect! Thanks for sharing! Great activity! 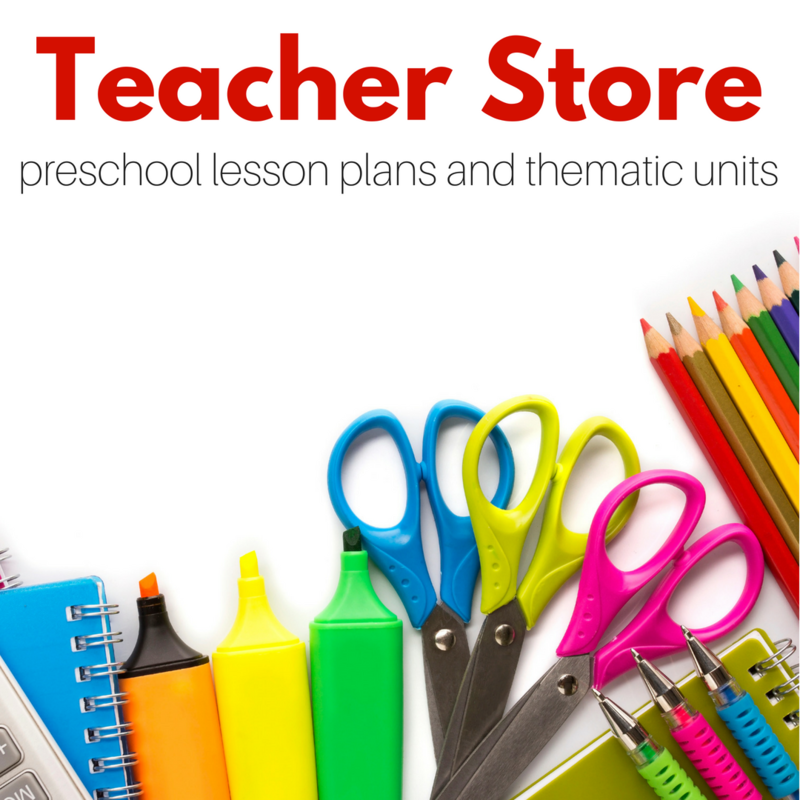 Perfect for preschool and kindergarten kids! Thank you for sharing.